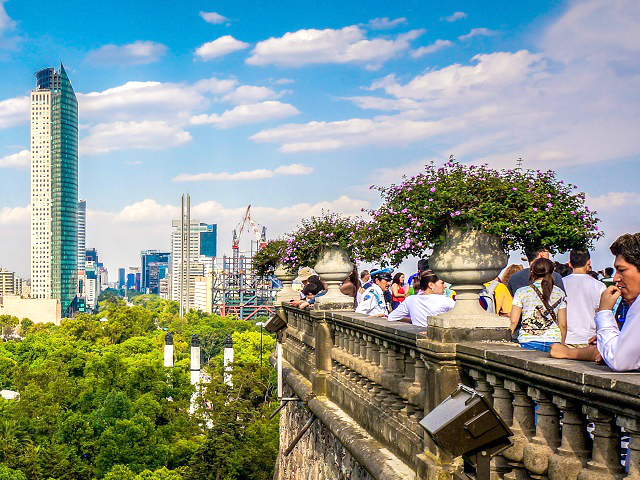 Leaders at COP20 can explore a range of sources for financing low-carbon urban development including multilateral investment banks, private investors, and innovative initiatives like the Nationally Appropriate Mitigation Actions or climate-themed bonds. Photo by Boris G/Flickr. Sustainable, accessible, thriving cities are within our reach. Investing in solutions like energy and building efficiency, integrated public transit and better land use and transit planning can improve health, quality of life and economic opportunities in cities. In fact, the Better Growth, Better Climate report finds more connected, compact urban development could reduce global infrastructure costs more than $3 trillion over the next 15 years. Accessing low-carbon infrastructure funding is a multi-layered challenge. Even so, investing in sustainable development is not only good for the climate globally: it’s also in cities’ self-interest. Connected, compact urban development can help governments serve larger populations using less capital. City leaders can also make urban infrastructure markets more attractive for private investment through an enabling environment using public funds to leverage private resources and prioritize sustainable development. Measures to shift towards low-carbon urban development should go hand in hand with measures to attract the necessary finance. Improving budgetary control, enhancing creditworthiness, earning revenue through land value capture and municipal bonds, supporting project preparation, and bundling procurement processes for multiple cities can help governments attract the private investment they need to meet their development goals. For example, Mexico has bundled procurement processes to boost energy-efficient residential lighting through a program that makes 45 million compact fluorescent light bulbs available for free to 11 million low-income families. Local governments should also consider Nationally Appropriate Mitigation Actions (NAMAs). While the NAMA concept is still relatively new, it creates greater flexibility and makes evaluation methods less rigid by empowering countries to seek funding for voluntary policy and planning activities tailored to their specific sustainable development priorities. For instance, the Center for Clean Air Policy assisted Colombia in a transit-oriented development (TOD) NAMA proposal using climate finance to back a guarantee fund leveraging private investment to reduce emissions from private vehicles by 25%. At the Rio+20 climate meeting in 2012, eight of the largest multilateral development banks (MDBs) pledged $175 billion for sustainable transport projects in developing countries over the next decade. Climate-themed bonds also grew 12% to $95 billion in 2013, setting a new mark for issuances and establishing another way to fund sustainable urban development. Still, research from the World Resources Institute (WRI) research shows that over half of all transport investment comes from the private sector, which accounts for as much as $1.2 trillion annually. MDBs and the private sector must continue reforming their investment strategies to support integrated and sustainable urban development like sustainable urban transport, low-carbon buildings, and resilient infrastructure. Public-private partnerships can create innovative, mutually beneficial opportunities for sustainable urban development by convening governmental bodies, the private sector, and other actors to find scalable solutions to urban development challenges. The Cities Climate Finance Leadership Alliance, launched at the UN Security General’s Climate Summit in New York City in September, is particularly promising in this regard. The alliance is a global partnership of funding institutions, city leaders, and civil society organizations helping cities in low- and middle-income countries finance sustainable infrastructure through public and private investment. Investing in business-as-usual infrastructure will only increase economic and social costs in our cities. Traffic congestion, for example, costs 4% of GDP in Cairo, 3.4% in Buenos Aires and 2.6% in Mexico City. In Beijing, the social costs of motorized transport are as high as 15% of GDP, while urban sprawl in America adds $400 billion annually in extra infrastructure, public service and transport costs. But shifting toward compact urban development and low-carbon urban transport could reverse this trend. For example, in India, Ahmedabad’s population may grow from 5.4 million to 13.2 million by 2041, but sustainable development could make that future Ahmedabad 50% smaller in size with 84% less carbon dioxide emissions and 74% fewer fatalities from traffic accidents. The journey towards thriving, equitable, and sustainable cities will be long and challenging, but the path forward is clear. Innovative solutions like climate-themed bonds, administrative efficiencies, NAMAs, and the Cities Climate Finance Leadership Alliance can unite public and private entities to help smooth the transition and close the infrastructure gap at the Lima conference, at next year’s climate meetings in Paris, and well into the future.